MVP is a low-end brand that fits nicely into the collecting line-up. I'm sure many seasoned collectors will overlook this product, but for those who just want the chance to get some cards without breaking the bank, MVP is certainly a quality product that let's them do that. I'm pretty sure I wouldn't pay the suggested $19.99 price for a blaster of MVP, but for under ten dollars I'd give it a shot. A blaster of MVP will give whoever buys it a nice opening experience as it contains 12 packs of cards. When all is said and done, you'll have a nice stack of hockey cards to enjoy after breaking the blaster. For the most part, collectors will just find some parallel cards and maybe an insert within the blaster box, however, there is a chance at pulling an autograph card from one of these. Memorabilia hits are also available, but also with a very slim chance. I'd say that it is nice to just have the opportunity to find a hit though its extremely hard. Some nice names came out of this blaster, particularly with the Silver Script parallel cards. I almost felt like I had better players from those compared to the large stack of base cards I got. 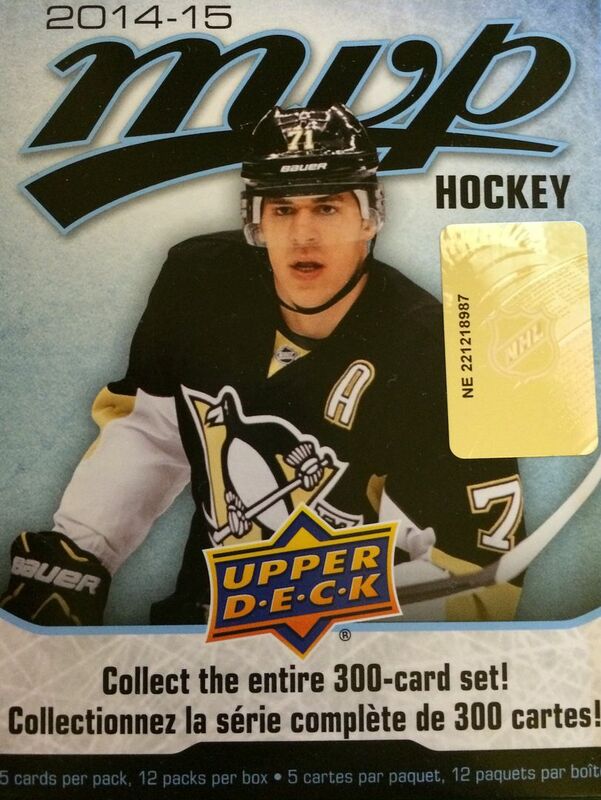 It was cool getting players like Sidney Crosby, Jaromir Jagr, and Zach Parise as parallels. And those weren't even in my top three. I noticed that every other pack contained an insert or parallel card. With 12 packs, the pattern was pretty noticeable. These packs also tended to shred up a bit, making it difficult to get the cards out quickly. Not a huge deal - just a minor gripe. 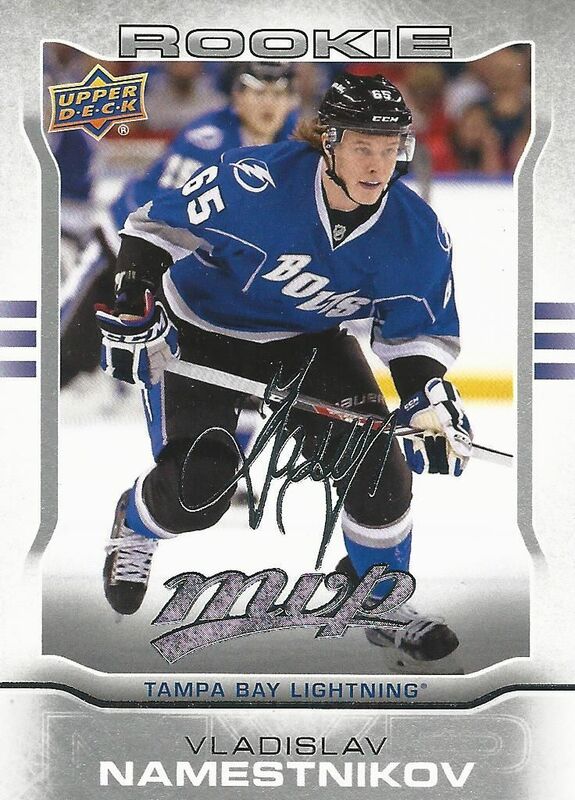 You don't usually find too many rookies in MVP, so that by itself stood out to me... but this Namestnikov rookie card is also a Silver Script. It was my only rookie in the blaster and happened to be parallel card, so it makes the top three. I have said that I appreciate the Three Stars cards as a nice historical type card in the past - and I still think they are. The only issue with them is that they are not super popular cards with collectors. I wonder if cards like these can ever be done in a way that will spark a big collector interest. Gold Script cards are really cool in that each one is numbered to just 100. The cards look very nice too with the gold foil on them. I've found one Gold Script in every blaster I have gotten of MVP. It's a nice type of card to make as a box 'hit' at the retail level. For under ten dollars, MVP is a decent buy. Like I said earlier, this is not for seasoned collectors. For younger collectors, this might be a great set to try and put together. There are plenty of interesting cards to look at and enjoy. 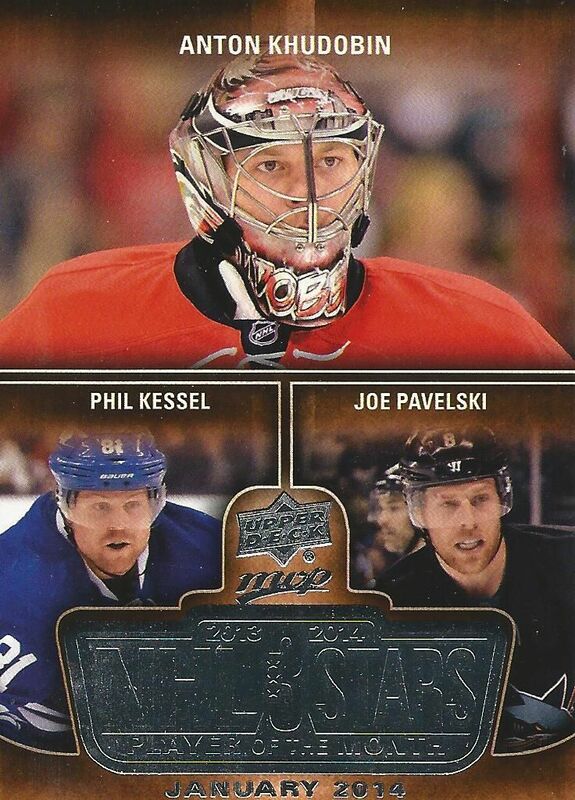 Getting a bunch of Silver Script parallels would also be cool as they look pretty nice. Though MVP is often forgotten by many collectors after the NHL season gets under way, I like the part of the hobby that this brand occupies and I think it does a nice job for what it is. I found 9 packs from an open blaster at a local place last week, and pulled one of the numbered gold script cards...it was the first numbered NHL card I've ever pulled so it will always be a set important to me for that reason . I only started actively collecting hockey cards this month. 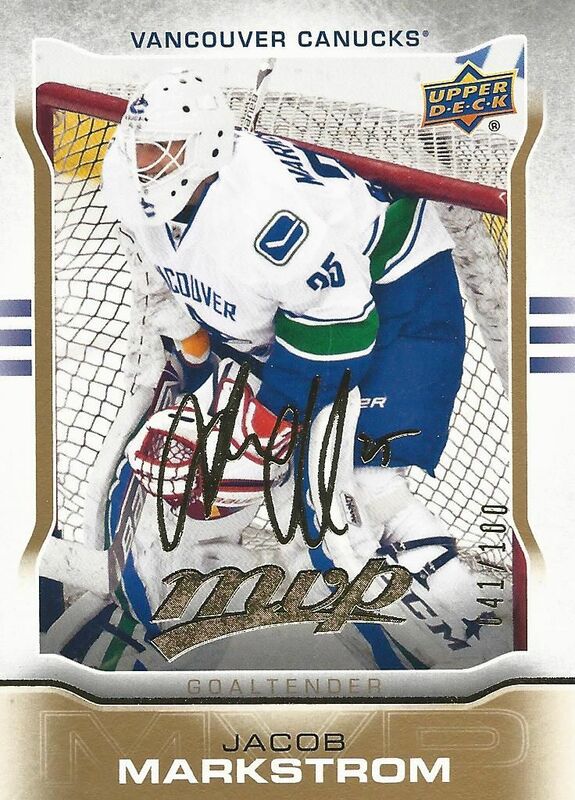 I bought a lot of these when they first came out because I needed the gold script Andrew Shaw for my PC. I didn't quite get one per box, but it was darn close. I've only seen two Shaw gold scripts and I bought both. Tough to come by! I'd love to find these blasters for $12.99. I'd jump all over it.